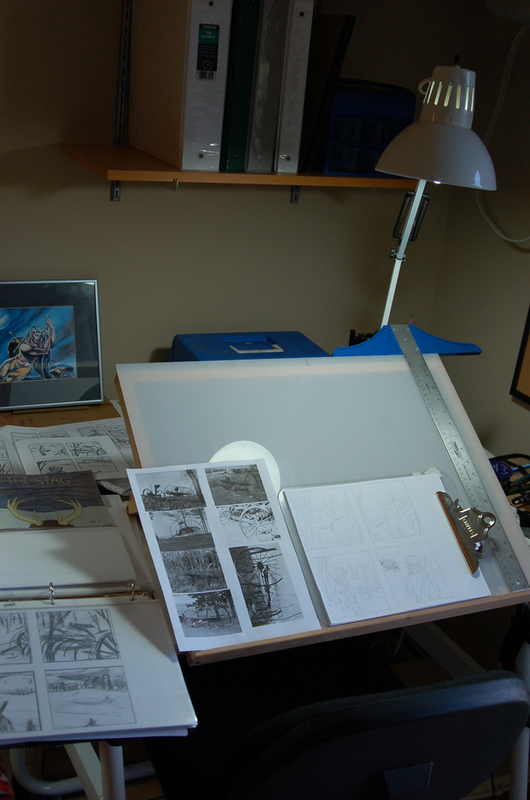 Andrew James Christensen - Comics and Illustration: Studio Space and Secret Acres! Studio Space and Secret Acres! So, I've neglected to mention... The nice people at Secret Acres are now carrying my comics in their store (also at their table at conventions)! So pick up a copy of The Stag through them if you haven't already. We don't have a lot of room, but I've made it work! 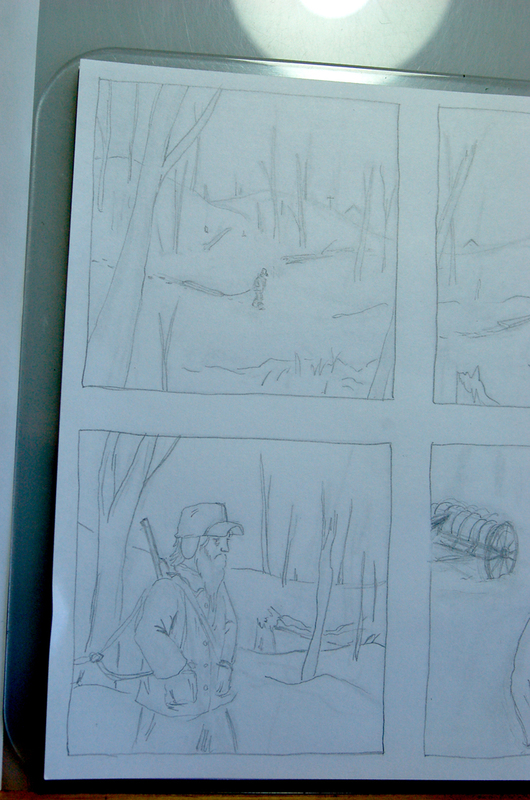 Pencils of The Stag #3.